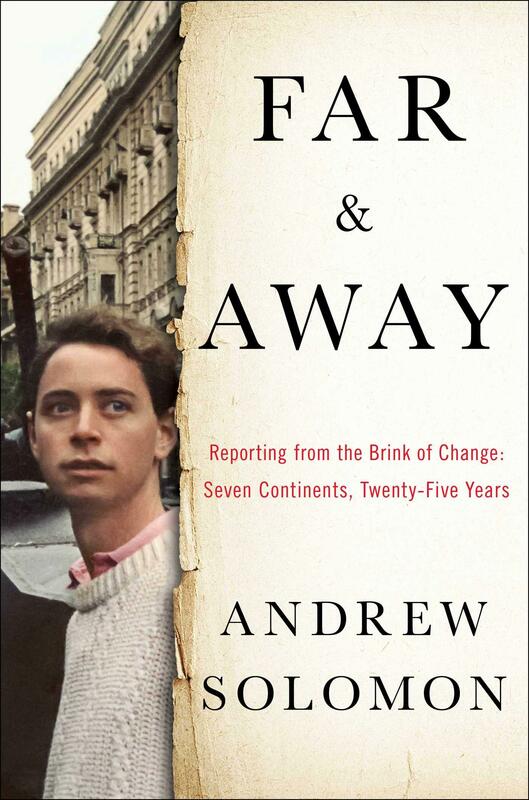 Far and Away collects Andrew Solomon’s writings about places undergoing seismic shifts—political, cultural, and spiritual. Chronicling his stint on the barricades in Moscow in 1991, when he joined artists in resisting the coup whose failure ended the Soviet Union, his 2002 account of the rebirth of culture in Afghanistan following the fall of the Taliban, his insightful appraisal of a Myanmar seeped in contradictions as it slowly, fitfully pushes toward freedom, and many other stories of profound upheaval, this book provides a unique window onto the very idea of social change. Andrew Solomon is a professor of psychology at Columbia University, president of PEN American Center, and a regular contributor to The New Yorker, NPR, and The New York Times Magazine. A lecturer and activist. He is the National Book Critics Circle Award-winner Far from the Tree: Parents, Children, and the Search for Identity.